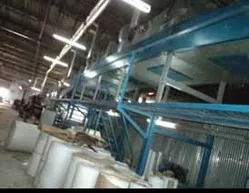 Started operations with a adhesive coating unit the company has added a Silicone coating unit manufacturing release paper and a self adhesive customized label manufacturing plant, thus making a complete self sustainable organization, which gave us the stability in quality and impetus to growth. With Growing business opportunities, the company has further invested into a large format self adhesive coating and a silicon coating plant, raising total converting capacity to 130 tons per month. This expansion has put the company into an advantageous position as Dee Dee Label became a single point supplier for all self adhesive material, Silicone coated paper and labeling needs for most of the customers. Understanding of the rehology in labeling and adhesives sets us apart from the other manufacturers. We do not stop at just selling our product; we offer total support in Printability, Punchability, Colour Fastness application and stay along with our Customers till they are satisfied with the label. Finally, we meet our client’s requirements as per their standards. Every client has his own uniqueness and we are willing to work to achieve that for our client. We believe in working together as a team and growing together. Self adhesive material and silicone coated release liner. Quality has always been our center of attention and we do every thing important to attain highest level of it in our products. 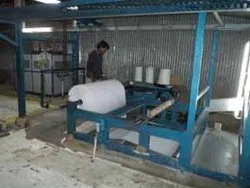 These products are manufactured with high quality material like face paper, base paper, all kind of filmic material and adhesive sourced from trusted vendors. 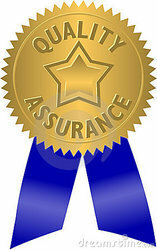 Our quality controllers assures that the products comply international standards. These professionals also test the entire gamut on stringent quality parameters. Our products are tested free of any kind of heavy and hazardous metals as per international standards. We believe in “Money comes and goes, but Morality comes and grows”. 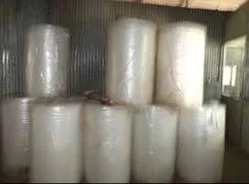 We are a reputed manufacturer and supplier of high quality Self Adhesive Material and Silicone Coated Release Liner. Our products are manufactured using superior quality raw material, sourced from trusted market vendors. These products are reckoned by many customers for their optimum quality, environment friendly nature and flexible design. 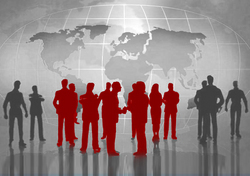 Our organization is supported by a team of self driven and enthusiastic professionals. These professionals possess deep knowledge and expertise in using latest technology machines. They are also aware of the current market trends and try to incorporate newer methods in order to meet the demands of our customers. These professionals are hired after passing a strict selection process based on experience, educational background, skills and ability to cope up with emergencies.